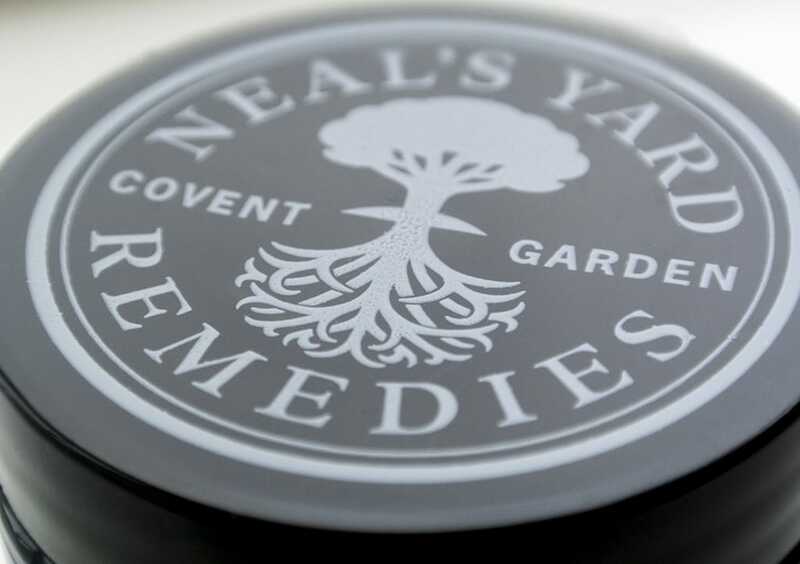 You may (or may not) be surprised to learn that Neal’s Yard is a new brand to me, never having used a single product before. It’s not been through a conscious choice, but mainly because the Manchester store is not placed in the most convenient location that keeps the brand at the forefront of my mind. Thankfully, I was lucky enough to be sent through a couple of their products to try, this being the first and I’ll tell you what, it was well worth the wait. Also, did you know that Peter Kindersley of Dorling Kindersley publishing owns Neal’s Yard? So Neal’s Yard Palmarosa Purifying Facial Mask comes housed in their trademark blue glass packaging with a black, logo emblazoned screw lid. The first thing that grabbed me was the weighty, quality feel of the product. I believe that if a cosmetic product is made well enough to be able to strike someone down, then it’s a sign of great quality. The mask is part of the Palmarosa range, designed for oily/combination skin types that can be blemish prone. Neal’s Yard describes the product as follows – [Neal’s Yard Palmarosa Purifying Facial Mask] Removes impurities, detoxifies and rebalances moisture levels to reveal fresh, radiant skin. This vegan, BUAV approved, organically filled mask contains Kaolin clay, Maple extract, Mahonia extract, Raspberry leaf extract, Hemp seed oi, Green clay, Aloe leaf juice powder, Geranium flower oil, Palmarosa herb oil, Vanilla, Sunflower seed oil and not that much else. It’s mainly natural and organically sourced ingredients. The mask is best applied with a foundation brush to ensure an even and well applied spreading. You don’t need that much but equally don’t scrimp with it either. Apply it to every inch of your face but avoid the eye area. It feels beautifully cooling to the touch and immediately begins to set and crust over. The mask smells stunning with aromas of hemp, clay and herbs. Once rinsed off, I was amazed at the results and by how it had affected my skin on many different levels. Firstly my skin is left smooth to the touch, plumped, hydrated and firm. Next, my pores are left completely unblocked and smaller, particularly on my nose which always tends to be a problem area. Thirdly, my complexion seems more balanced, more uniform in colour and natural redness is reduced. Finally any blemishes are left noticeably smaller and dried up. A fabulous product, with fabulous results at a pretty fabulous price. I’ve had six or seven applications from this pot and there’s an enormous amount still left. Check it out for £25.75 here at Neal’s Yard. This article first appeared on MANFACE written by Thom Watson. It was published on Friday 4th January 2013 and was last updated on Monday 3rd April 2017 at 4:01pm. It's categorised under Acne, spots & blemishes, Combination Skin, Neal's Yard Remedies, Oily Skin where you'll find more related content. Again, in shops and showrooms, there always remains a danger for robbery even in broad daylight so the installation of covert devices will help you to get video footage which will help to catch the culprits and making your loss minimum.These devices also serve as surveillance cameras in big hotels, hospitals etc has many rooms in it without anyones prior knowledge and this will help you to know your staff better and improve your companys quality of service by getting rid of lazy staff members. So you need to implement procedures to follow up on complaints and make sure that the nuts and bolts set out in the DMCA, and in any trademark compliance plan you devise, are followed.By no means is this an exhaustive list of how to do due diligence review of a company’s financial documents. There are shoes for women that are meant for walking or strolling. I am thinking of buying this stock for my own portfolio and letting it sit for a few years as this brand is transformed back to its previous glory.Coe will be responsible for sales promotion, consumer advertising, store and graphic design, market research and direct marketing.